So… the holidays are all about fudge. Am I right? If you don’t have a good fudge recipe – you do now. Get the tradition started! Yummy chocolate fudge – great as a holiday gift idea for friends and neighbors and so fun to set out a plate of delicious chocolate fudge on your Christmas desserts table. 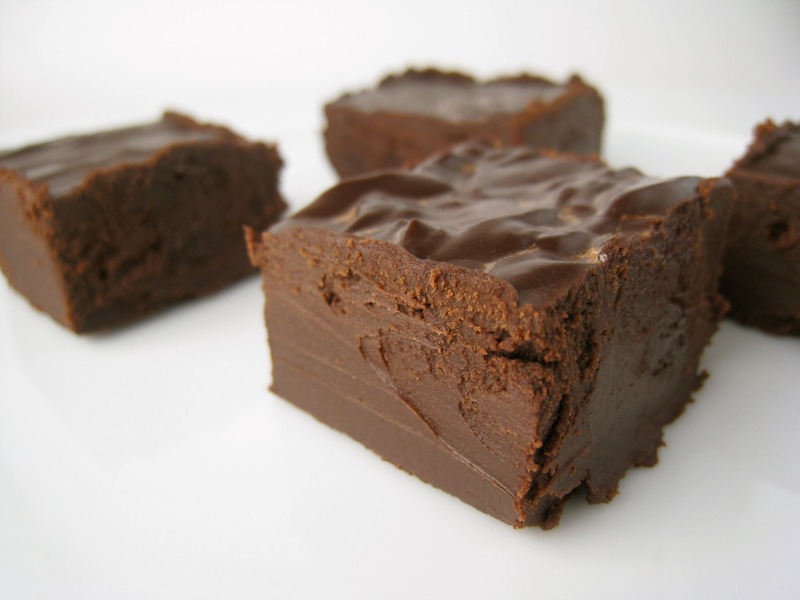 Office workers will love you for bringing in a little taste of homemade fudge, as well! Here is our easy fudge recipe – just as it should be. Scrumptious, rich and delicious! Line an 8 x 8 pan with foil and spray with non-stick spray. In microwave safe bowl mix chocolate, butter and milk and cook in microwave on half power for 2 min. Remove from microwave and stir until it’s completely melted and smooth. Add vanilla and salt. Stir until blended. Spread evenly in the foil lined pan. Refrigerate until hard. (about 3 hours). Slice and eat. The is the best chocolate fudge! And so easy. We do highly recommend using Sephra chocolate chips ~ if you have tried them, you know what we mean. If not order some today! Don’ t be put off by the price. Supermarket chocolate chips are usually 12 oz packages. We offer 4 pounds of chocolate chips in easy to use 2 pound bags – so you are getting your money’s worth! And don’t get me started on the difference in taste – I used Nestle’s for years, but no more. Sephra chocolate chips make the best baking chocolate, as well as the best chocolate fondue. They will really make your favorite Christmas recipes taste extra yummy and delicious. Sephra has the perfect chocolate for baking as well as candy making. Try our Peppermint Bark recipe and our unbelivably tasty White Chocolate Bark with Toasted Pecans. Great holiday recipes – perfect gifts for your friends and family!